I have been delighted by the submissions received, and the variety of approaches taken, of subject content and treatment. There is a critical essay on the Irish poet Michael Longley – finding his voice in the landscape and people of the west of Ireland, and a meditative memoir by Louise Halfe perusing identity, a philosophical walk through ‘motility’ delightful in its bright seriousness; there are short stories, talk of clouds, grykes and monasteries, mountains climbed and carved, of the sense of grace in life, and of course poetry go leor (in plenty) – many of these poems I have already revisited for the pleasure and the experience they offer of peaks or valleys of mind or of mountain. Core to my thinking about life is its great confused babel of sound and movement, a rushing headlong, a going – perhaps nowhere. Hence, Jan de Fouw’s sculpture in clay and ceramic tile, with scripts embedded. It reaches to our digital age. In Paul Johnson’s contribution image and poem come together, create complex fractions, the artist’s statement in magnificent photographs and concrete lines, each floating its energies between partner image & poem. Slavery, that imperial and colonial institution, is brought into focus by mobile phone photographer, Don Mullan’s photo piece on Nettie Douglass’s visit to Belfast and The Giant’s Causeway, and a farewell comes from London’s St Pancras Station, romantic, populist, but sharp and powerful, exciting emotions of meeting and parting. I hope you enjoy these works. 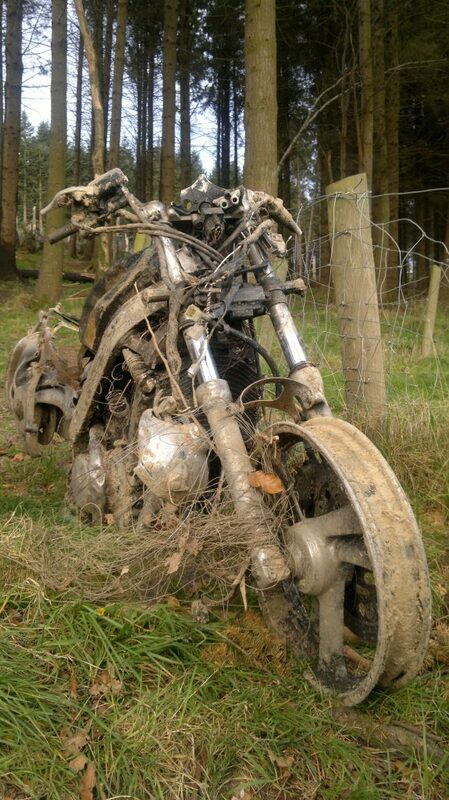 While we all browse differently online, and in full knowledge that readers tend to pick and choose rather than read through, I have arranged poetry, prose (essay, fiction, memoir) and image in a reading/viewing sequence that suggested itself imaginatively rather than logically or in terms of topic. 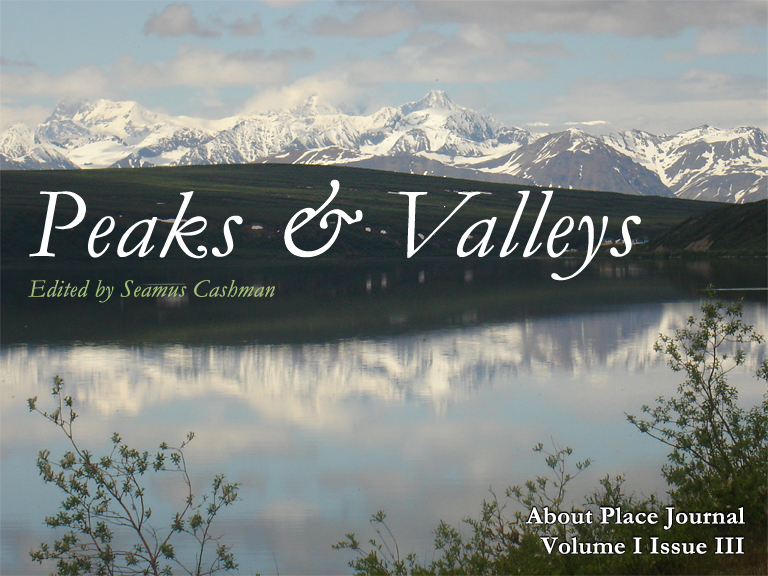 My thanks to Patricia Monaghan for the Alaska Range images, and to Don Mullan for additional images scattered throughout. I acknowledge and appreciate the many submissions which didn’t make it into this Issue but which were apt. I enjoyed the email conversations with those included here and thank them for their participation. 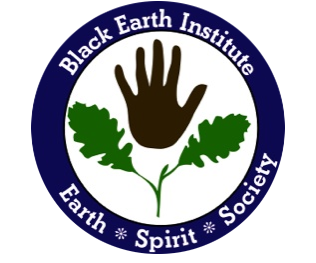 A special acknowledgment to the Black Earth Institute for its imaginative and energetic work, and to Michael, Barbara, Sarah, and the production team for help with preparing this issue. BEI’s first International Fellow, Seamus Cashman, is an Irish poet. His three collections are: That morning will come: new and selected poems (Salmon Poetry 2007); Carnival (Monarchline, 1988) and Clowns and Acrobats(Wolfhound Press, 2000). He is currently completing a book length poem, The Sistine Gaze, due for publication in 2013. A successful anthologist for young readers, he co-edited Irish Poems for Young People and commissioned & edited the award winning, Something Beginning with P: new poems from Irish poets (O’Brien Press, 2004). 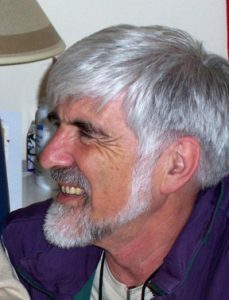 Cashman, now a full time writer and poet who freelances as editor and creative writing facilitator, has taught in Tanzania, was an editor with Irish University Press, and in 1974 founded Wolfhound Press, Dublin where he was publisher until 2001. From Conna in County Cork, he now lives in Malahide, near Dublin.